For Christmas Pete bought me my favourite new gadget, a Fitbit Flex! I was pretty excited when I opened it up and instantly put it on. You’re probably wondering what this is so I’ll give you a bit more information as it actually does A LOT. The fitbit flex is a tiny device that is worn in bracelet form that tracks my steps, activity, calories eaten/burned as well as my sleep. It syncs wirelessly using my computer and iPhone so I can always check my stats. Cool, right? I’ve worn it for over 7 months straight! The main reason I use the fitbit is because of the step tracker. It’s helped me to keep in line and has really made me feel accountable. My daily goal is 10,000 steps although you are able to set that to whatever you want. If you tap the fitbit twice you will see 5 LED lights that light up and land on a specific “dot”. These lights (or dots) measure your progress to goal. Each dot (for me) represents 2,000 steps and when I reach 10,000 they all light up and it vibrates to let me know. I kind of feel like my fitbit dances so most times I dance along with it in celebration and yell out “WOOHOO!!”. It can be pretty fun. It's pretty neat to compare your steps day to day and to see what time of day you get the most steps in. You can change your goal to track whatever you want! You can track steps, calories and even distance! You can make your goal 2000 steps or even 20,000 steps. I find it interesting how it tracks your active minutes, your calories burned and distance travelled. This information is sorted by hour (specifically every 15 minutes) and you can see the highs and lows of the day. You can also see comparisons of 1 week, 3 months and 1 year. Another cool feature is that it has a silent alarm which will wake you (and only you) up by vibrating softly. I have to admit I still set up a backup alarm as I’m really nervous about not waking up on time. It’s a great feature when you have to wake up at early and don’t want to wake up your significant other. This is probably my favoutite thing about the fitbit. It tracks your sleeping patterns! It tracks how many minutes you were restless, awake and asleep. Again you can compare this with previous stats. Usually I am restless for 45+ minutes so this was a good night for me! You can purchase so many additional colours! 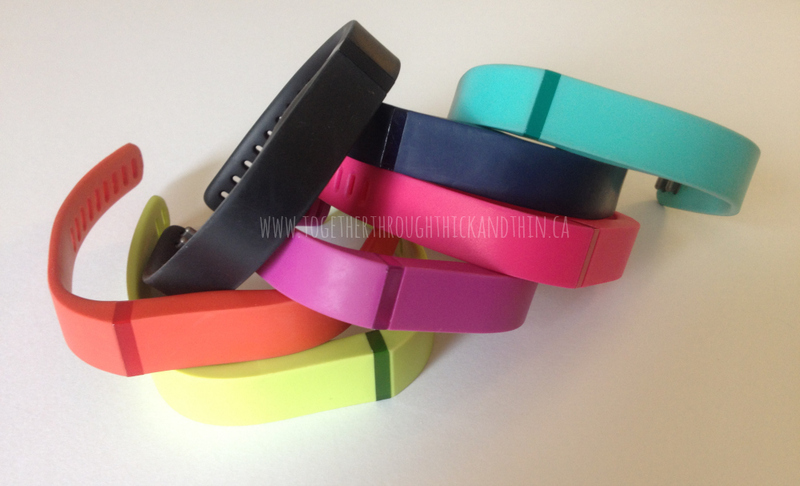 The fitbit comes in red, blue, violet, slate, pink, black, navy, teal, lime and tangerine. I currently have 7 different bracelets! Not only do I find this stylish but I’m able to accessorize it with all my outfits. I literally only take this off to shower… though it is waterproof and you can wear this in the shower.. I'm just a weirdo. I have to admit I’ve had a few problems with my fitbit in the past, but when I emailed fitbit customer service they were beyond helpful and went above and beyond. They emailed me back within the hour and had arranged for my replacement to be shipped out immediately. Awesome! Couldn’t be more impressed. Overall.. I love this fitbit! I’m not sure what I would do without it now and I love tracking my stats and comparing it day by day. I’m excited to see how many steps I can get in this summer! Thanks so much for reading my review. 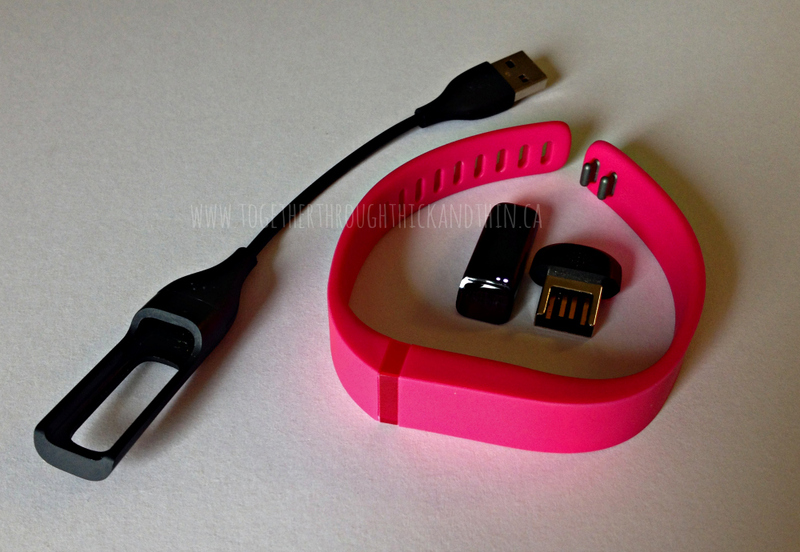 Do you have a fitbit? If so link your fitbit ID below and I will add you!